This is the easiest, tastiest breakfast idea and I love to make it. It really is fun and it couldn’t be simpler. The bread gets nice and crunchy and tastes amazing thanks to the butter. 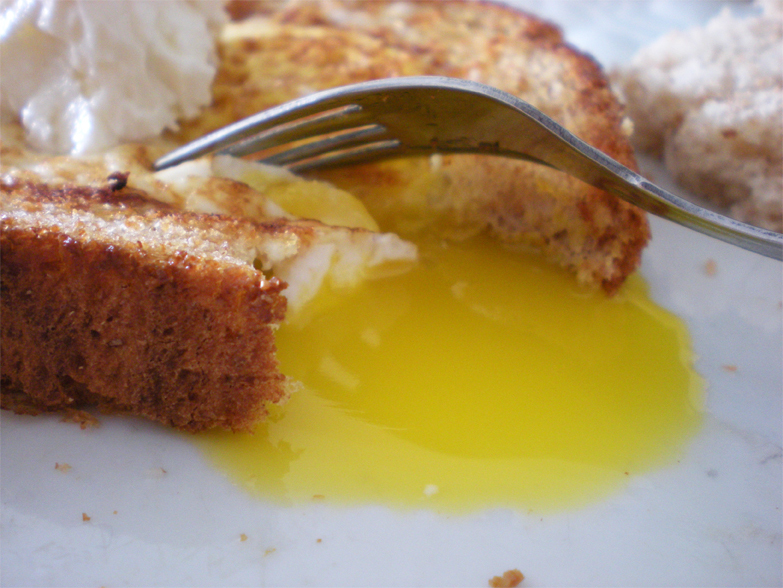 I suggest you leave the yolk runny. It’s perfect for dipping the extra piece of bread in. Yum. 1. 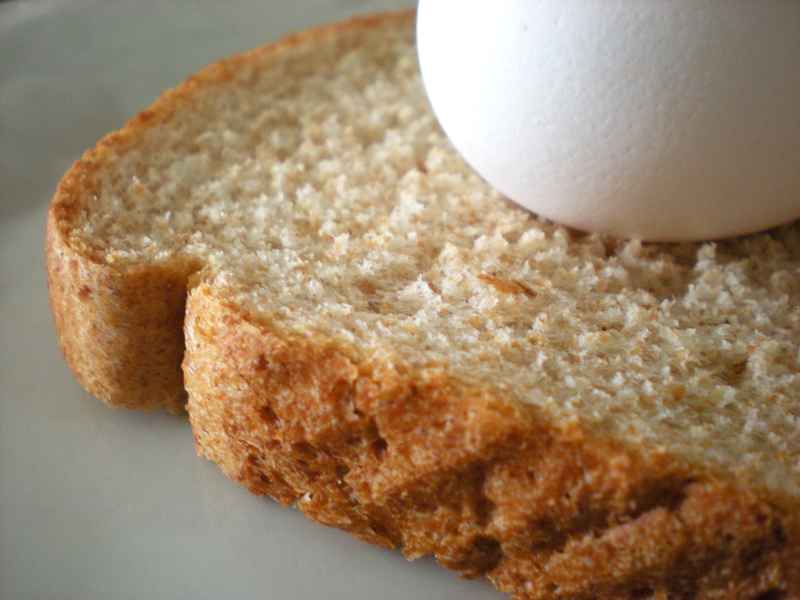 Get a slice of bread of your choice, and 1 egg. 2. 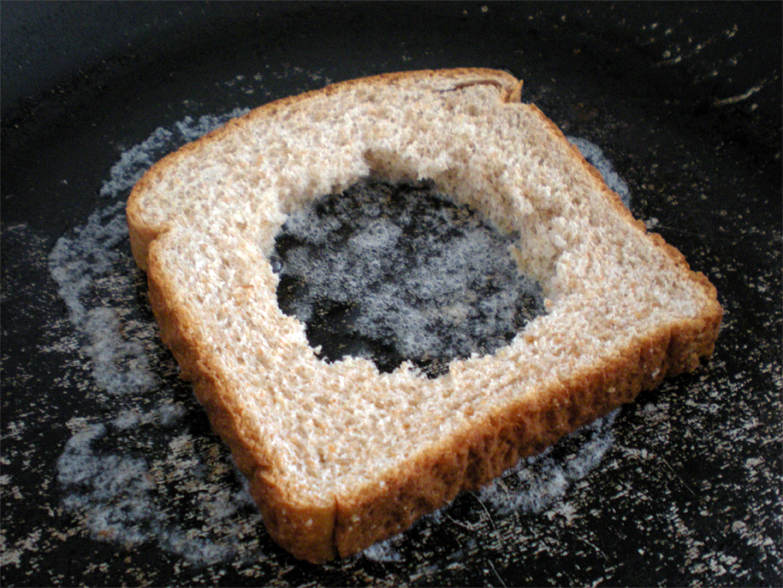 Make a hole in the middle of the bread. I just did it with my hand but you could use a cookie cutter or just the bottom of a glass. 3. Put your pan on high heat and throw 1 teaspoon of butter. When the butter is bubbling, its hot enough to fry. 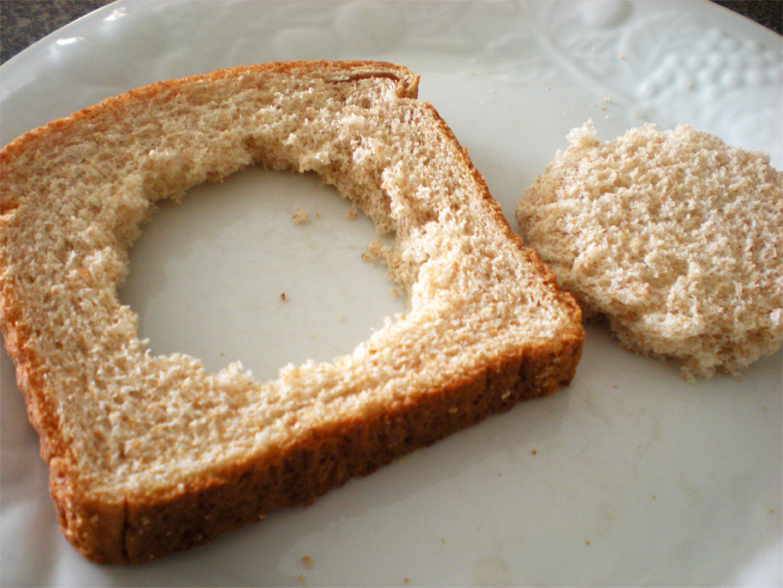 Place your bread slice down. 4. 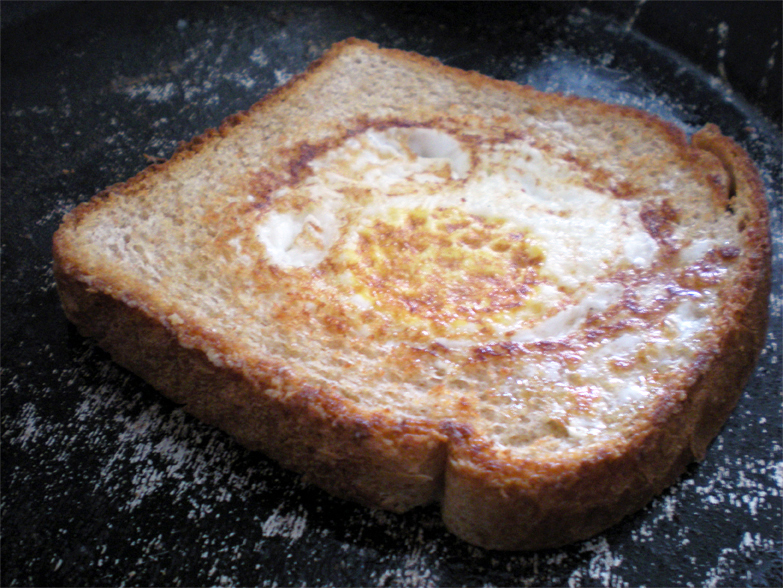 Crack open the egg right in the hole. 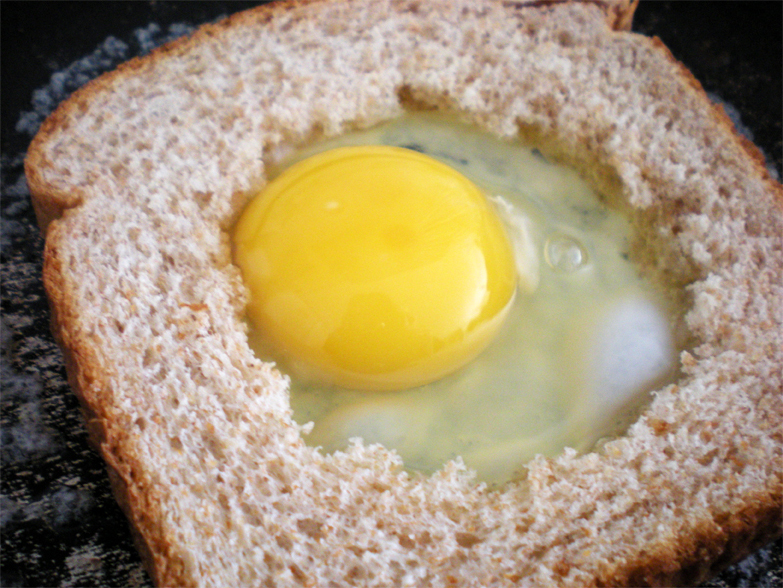 Let it cook for about 1-2 minutes, depending on how runny you like the egg yolk. 5. Then flip. You can go ahead and fry the little circle of bread too if you wish. That’s it! 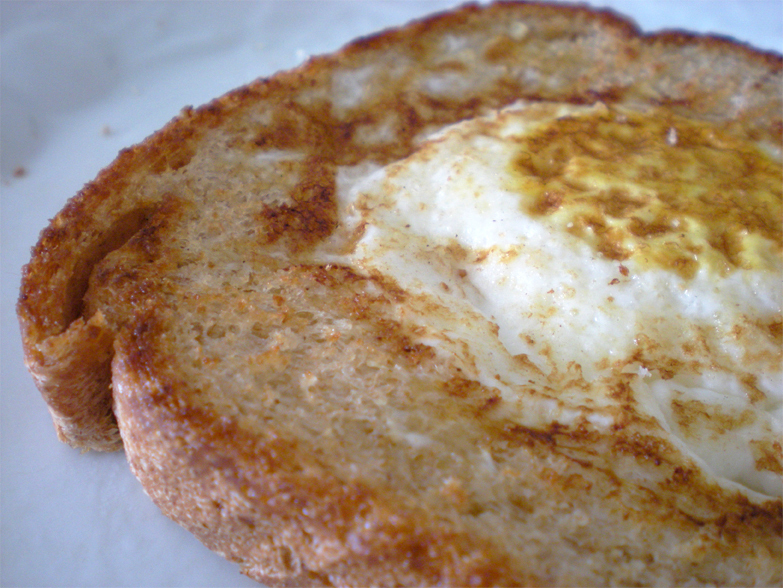 Egg in a hole goes very well with feta cheese, and some tomato and cucumber slices. It’s also good enough to eat just by itself. Enjoy! 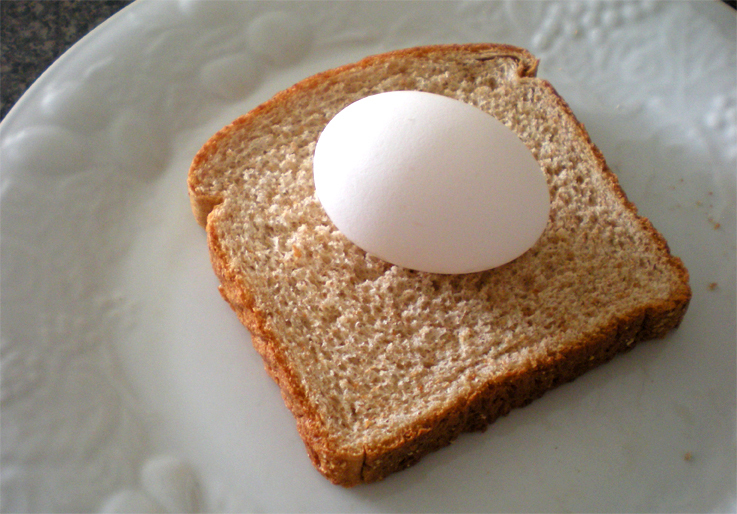 What a creative way to fry an egg and bread together! It is always “Eggie with a hat on” in our house – fry the circle of bread as well and place it on top of the egg as a tasty fried bread beret! My favorite breakfast as a kid. I haven’t thought about it in years, but will have to give it a try this weekend. Thanks for sharing!